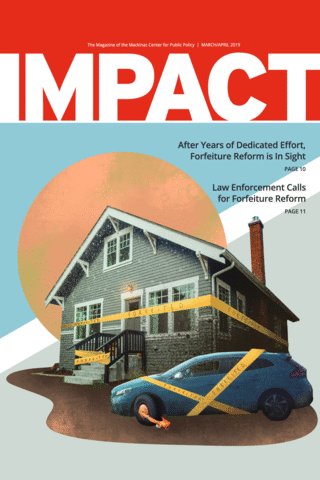 On Feb. 26, the one-year anniversary of the oral arguments in Janus v. AFSCME, the Mackinac Center launched a national initiative to advance policy reforms that expand employee freedom across the country. This new initiative, Workers for Opportunity, is a natural extension of the Mackinac Center’s 30-plus years of successfully fighting for the rights of public employees in Michigan. It builds on the momentum generated by our national awareness campaign, My Pay My Say, which informs public employees of their Janus rights. The Center has helped 129,000 union members across Michigan exercise their freedom of association (and save thousands in dues) over the last decade. We have also helped another 11,000 union members nationwide since the Janus decision. This record has prepared us to succeed in a new mission: Free the American workforce from all compulsion from labor relations, with restored rights to associate with, bargain with and support whomever employees choose, without fear of government retribution. Transparency and implementation of Janus rights: Even before the Janus decision, unions were working with lawmakers and administrations in certain states to make it more difficult for employees to stop paying them. States should re-examine these policies to determine if any of them violate the Supreme Court’s expressed intent, which is that dues or fees may be collected only after the employee has provided clear and affirmative consent. Right-to-work: Public employees across the country can now choose whether pay a union. But in 23 states, unions can still get private sector employees fired for not paying them. All workers deserve the right to decide whether to support a union. Worker voting rights (union recertification): Most public employees have not had an opportunity to vote on the union at their workplace. Public employees deserve the right to periodically vote on which union, if any, represents them in. Public Employee Rights and Reauthorization Act (Opt In): The Janus decision restored public employees’ First Amendment rights to choose whether to pay union dues, and it requires affirmative consent from employees before such dues can be collected. PERRA seeks to codify these rights in each state. This reform agenda of Workers for Opportunity is supported by a team of seasoned experts in labor policy, law, government affairs and communications. Even before the initiative launched, team members had already visited with or advised lawmakers, members of administrations and allies in 15 states. Coalition-building continues to be a cornerstone of our efforts and will be critical for achieving policy victories. The Mackinac Center has a track record of building strong partnerships in Michigan and across the country. It intends to build upon the most recent success of the My Pay My Say campaign, which has grown to a network of strong state and national partners in 17 states.